Lent has officially started, and perhaps on your Facebook or Twitter or Instagram feed you have already been inundated with articles and infographs like “40 things to give up this Lent” or “15 Ways to Make the Most out of Lent” or even “10 Things You Shouldn’t Give Up this Lent.” But so many of those articles seem to assume something that I’m not certain it is safe to assume: What is the purpose of fasting? I am a member of a small prayer group here at the Archdiocese’s central offices and yesterday, on Ash Wednesday we prayed together through Luke 5:33-39 where Jesus is questioned about why his disciples did not fast. Jesus, I think, gives a very interesting response to the question. In typical Jesus fashion, he answers their question with a question, “Can you make the wedding guests fast while the bridegroom is with them? But the days will come, and when the bridegroom is taken away from them, then they will fast in those days.” He then goes on to give a parable about old wineskins and new wineskins, old cloth and new cloth and old wine and new wine. What does this really tell us about fasting? At the surface it seems that the initial comment about the bridegroom and the parable about the incompatibility of the new and the old are virtually unrelated, but as we dig a little deeper we start to see what Jesus is trying to tell us. Let’s take first his comments about the bridegroom and his guests. It is apparent here, that Jesus is making a very simple point about the purpose of fasting: it is a means to an end. Fasting is meant to prepare our hearts and condition our wills to enter into a closer relationship with Christ. Of course, the ultimate closeness we all seek is to be with Jesus in heaven. Thus, while he was present among his disciples, there was no need for them to fast, because they were already with him who is the bridegroom and source of all grace. We have not reached that beatific vision, thus, we must fast. Following that, then, we dive into the parable about the new and the old. 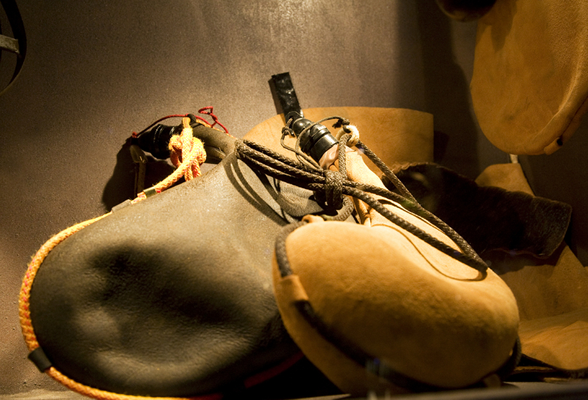 In verse 38, Jesus says, “Rather, new wine must be poured into fresh wineskins.” As we make our way toward Easter, the Lord, as he always does, desires to fill us with something new, but before he can do that, we must present him with fresh wineskins to fill. Jesus says that “No one (who has gotten comfortable in the old ways) desires new, for he says ‘The old is good,’” and it is so tempting to become like that. For so many of us, our relationship with Christ has gotten really nice. It’s comfortable and safe, but Jesus desires more; he desires something fresh! Therefore, we must try to detach ourselves from all that stands in the way of his desires, even the good comfortable relationship we currently have with him, and prepare for a new relationship with Christ that would make our old wineskins burst. Through fasting, let us spend the rest of this lent preparing those new wineskins so that, on the day of his Resurrection, we can receive that overwhelming flow of new wine and end our fasting for the bridegroom has returned.